Summer Reading Program Kickoff! 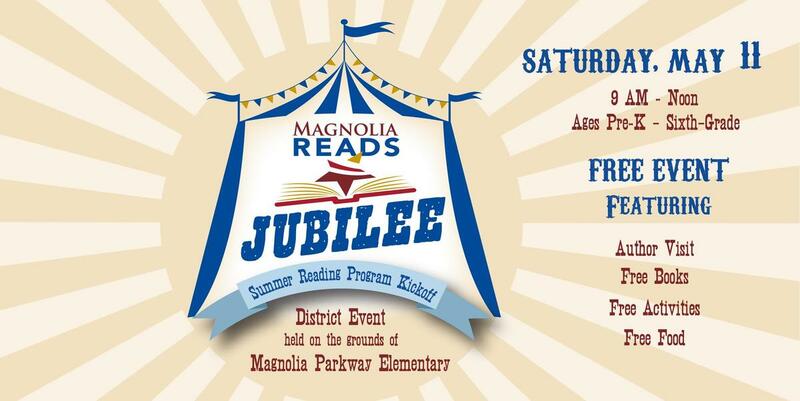 District Event held on the grounds of Magnolia Parkway Elementary. Ages PK-6th Grade. 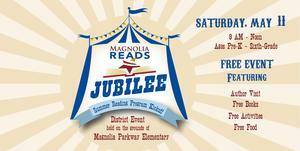 FREE event featuring author visit, FREE books, FREE activities, FREE food!